Most of the time I tend not to point my Olympus cameras toward sources of bright light as this usually results in blown highlights and black shadows. While I had the 5D II I took the opportunity of trying just that. 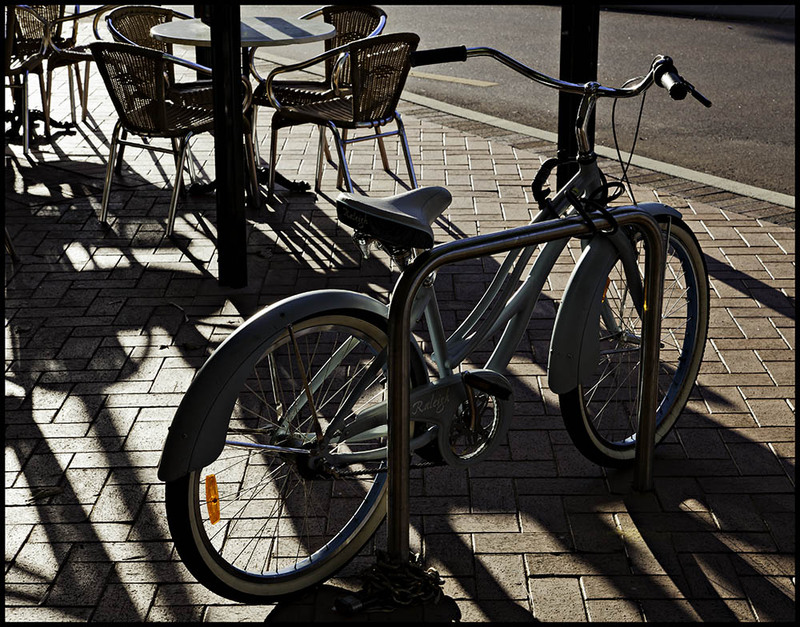 The resulting picture has strong shadows and a glow around the outline of the bike that I particularly like. Note that everything in the frame is pretty much in focus; the aperture used was f11. I could have opened up the lens to blurr the chairs but there was no need as the subject is well separated by the light and I am a fan of detail!